A duvet-day rom-com in the Four Weddings mould but with a pair of lesbians doing the canoodling. As seems to be de rigueur these days, the plucky Brit babe is played by an American. 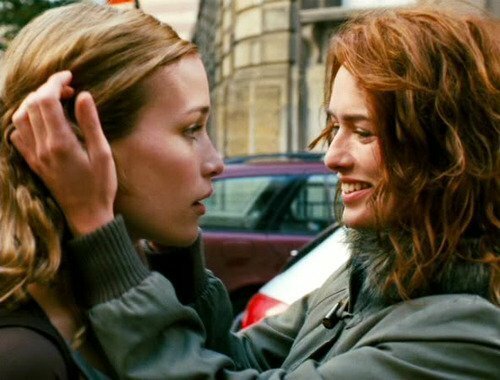 And Piper Perabo makes a decent stab at an English accent, playing the newlywed falling for the girl (Lena Headey) who did the flowers for her big day. It is all terribly terribly fragrant and London looks as lovely as this part of West London generally does on a sunny day – stucco houses, canals, the odd auction house on hand to add an antique armoir or chaise longue to the picture. You get the point – this is Hollywood London in the same way that these two ladies are Hollywood lesbians. Lipstick all round. Enjoy the side characters – Sharon Horgan, Anthony Head, Celia Imrie, Sue Johnston, John Thompson – apart from the sunshine and the picture postcard views there’s not much else. In other words diesel dykes and guys hoping for girl-on-girl action will be disappointed. Trivia: A newlywed bride becomes infatuated with another woman, who questions her sexual orientation, promoting a stir among the bride’s family and friends.